A welcome trend over the past few years is the increased number of popular science books involving materials science, in part inspired (I suspect) by the success of Stuff Matters by Mark Miodownik. 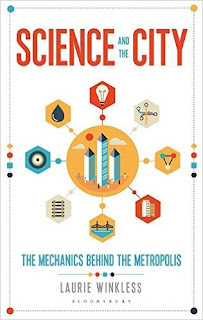 Laurie Winkless, a physicist and writer who has had a place at NASA’s Kennedy Space Center and has worked at the National Physical Laboratory, has written her first book, looking at the science of how cities function. The book has as its foundation (pun intended) the creation of a skyscraper. This skyscraper acts as a guide throughout the book to illustrate the science of materials, the accomplishments and methods of engineering involved in building superstructures, a reference for the history of construction and its technological achievements and a starting point for explanations of the science at work in the world’s cities. The book goes into depth into various areas of the commonplace around us: how cities provide and distribute energy, water, public transport, food production, logistics and how they deal with the enormous amounts of waste produced by their citizens. Winkless does an excellent job at revealing the fascinating science behind what most of us take for granted as we make our daily commutes. I found the intricacies and complex designs underlying a regular day in a metropolis endlessly fascinating. 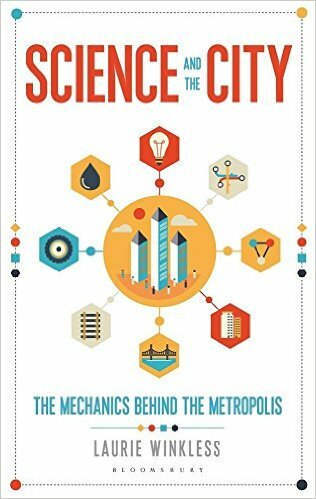 While describing how cities have functioned and how they function now, the author also looks at the future, based on proposed projects that various cities around the world are planning and based on research into potential solutions for providing for the increased urban populations of the future. Winkless readily admits that many of the plans are very speculative and her candour is welcome and represents science done properly; that is that she is frank about the possibilities and the limitations of science that has not been verified by experiment. One small complaint is that some of the coverage of scientific principles, such as the explanation of the electromagnetic spectrum, is slightly confusing and would benefit from diagrams or illustrations, but I’m being picky with this criticism. If you are interested in learning more about how science affects our everyday lives, how it can be that fresh produce is available in food stores around the world throughout the year, why there is a rush of wind when the tube arrives (and why it is necessary), how it is possible to build buildings over half a kilometer tall and many other things, then this is an excellent book to read, particularly on your daily commute.